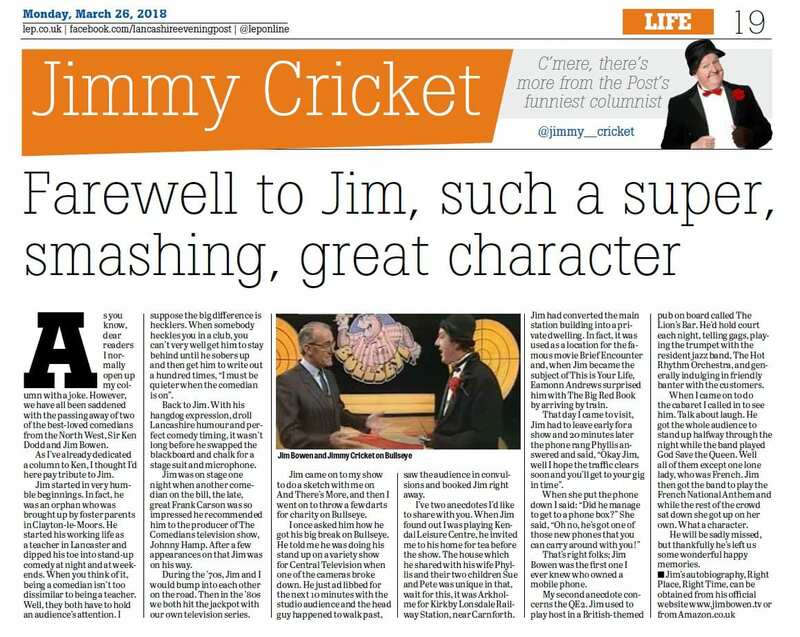 Jimmy Cricket remembered the late Jim Bowen in his most recent monthly newspaper column in the Lancashire Post. Broadcaster and comedian Jim, best known for hosting darts-based game show Bullseye in the 1980s and ’90s, died on 14 March at the age of 80. 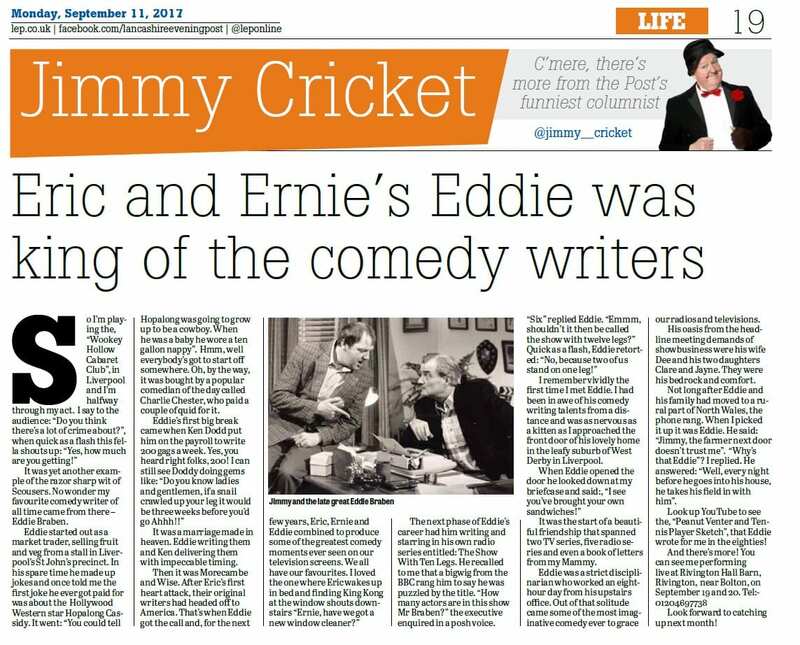 And Jimmy told some nostalgic anecdotes about his good friend’s life and career in the 26 March edition of the Preston-based paper. 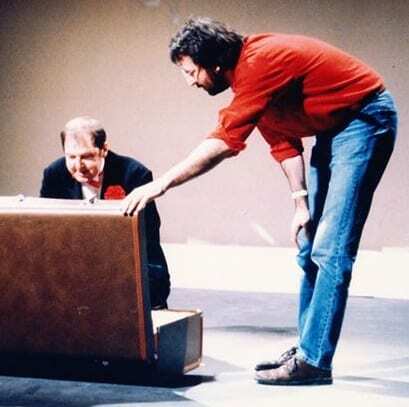 It included the time when presenter Eamonn Andrews arrived on a train to present Jim with the famous Big Red Book on This is Your Life. And Jimmy recalled how he threw some darts for charity on Bullseye, while Jim did a sketch with him on his own television show And There’s More. 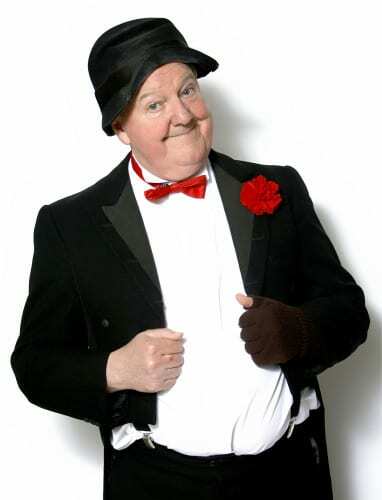 Jimmy Cricket returned to The Plaza variety theatre in Stockport at the weekend to do his fourth show there. Other acts included Shep’s Banjo Duo and dancers from the Stockport-based Debut Arts academy. 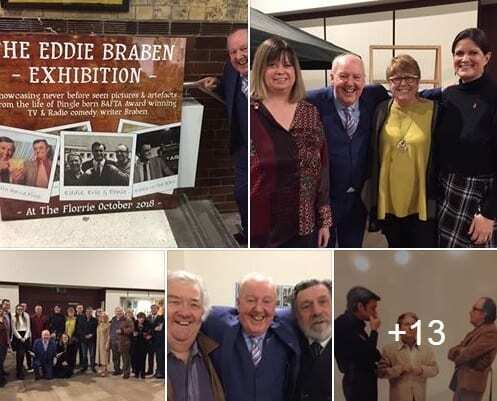 The famous comedian, 72, had last performed there in January 2016 and was clearly delighted to be back. 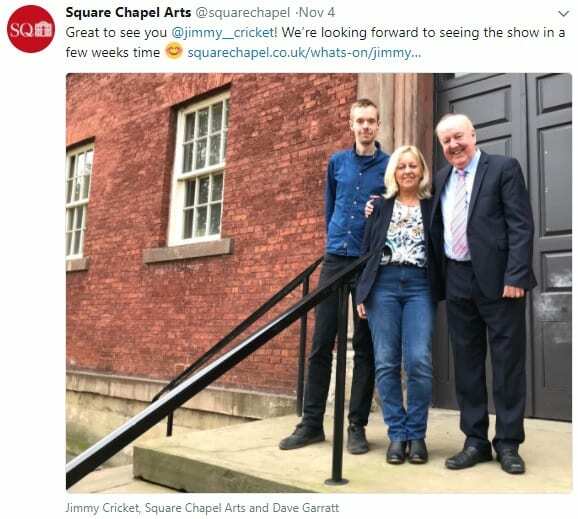 Jimmy Cricket expressed his thanks to all after thoroughly enjoying his Christmas show at the Square Chapel Arts Centre in Halifax, West Yorkshire. 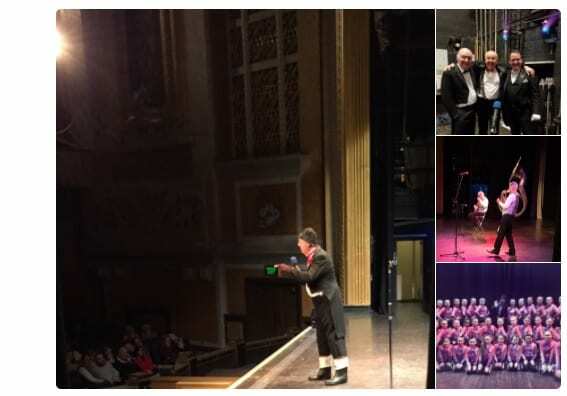 Friday’s event also featured pianist Roger Stevenson, songwriters Cath Binns and Angus MacGregor, festive songs from the Halifax-based Sing for Fun ladies group and Christmas cheer from the local talented performers of the Stage Door Studio Theatre Workshop. 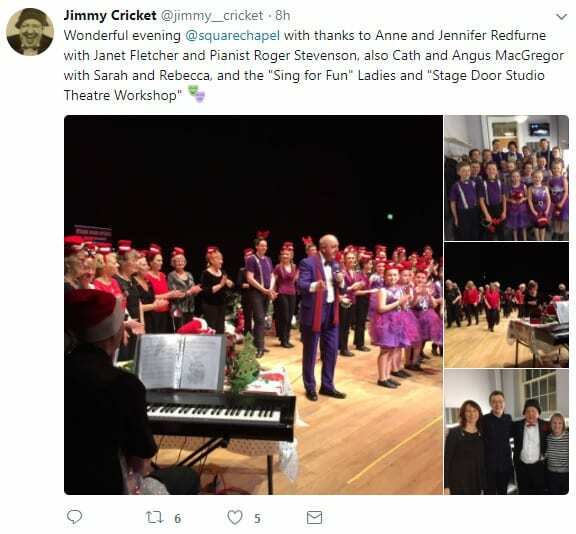 Afterwards, Jimmy posted a message on social media channel Twitter saying it had been a “wonderful evening”. 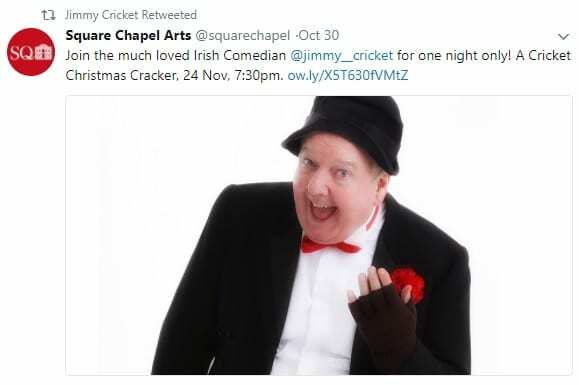 Jimmy Cricket will be teaming up with the local community for a special Christmas show at the Square Chapel Arts Centre in Halifax, West Yorkshire. 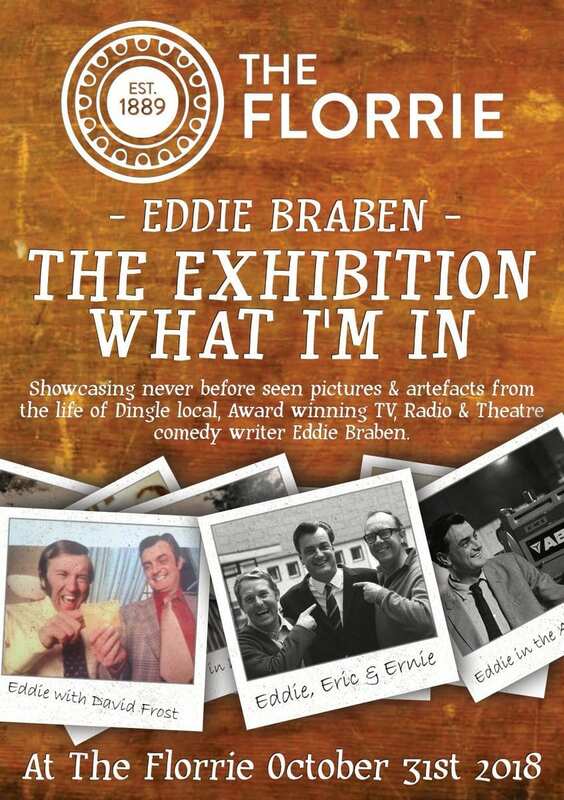 The famous entertainer will be armed with his usual one-liners galore, a sprinkling of visual comedy and, yes, that ever present letter from his mammy! The show, on Friday 24 November, will also feature the musical prowess of songwriters Cath Binns and Angus MacGregor, festive songs from the Halifax-based Sing for Fun ladies group and Christmas cheer from the local talented performers of the Stage Door Studio Theatre Workshop. 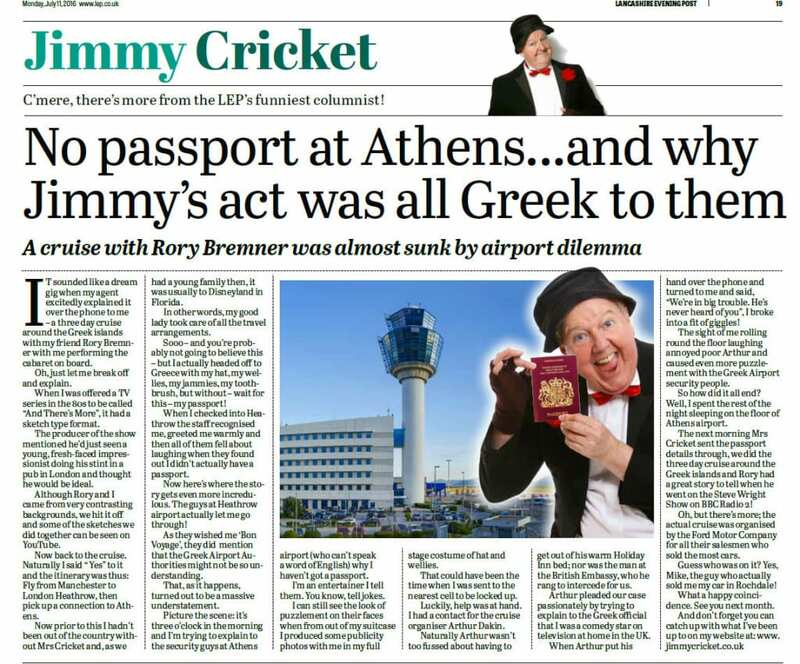 Jimmy Cricket once failed to persuade the authorities in Athens to let him into Greece without his passport. The famous entertainer was scheduled to do some shows on a cruise ship around the Greek Islands with friend and impressionist Rory Bremner. It was during the 1980s when Jimmy, now 70, had his TV series And There’s More, for which he did some YouTube sketches with Bremner, then a “young, fresh-faced impressionist doing his stint in a pub in London”. Jimmy’s agent told Jimmy he had arranged a three-day cruise for him and Rory performing cabaret on board. “Now prior to this, I hadn’t been out of the country with Mrs Cricket and, as we had a young family then, it was usually to Disneyland in Florida,” he told readers of the Preston-based Lancashire Evening Post in his July column. He said he somehow managed to get the staff at Heathrow – who recognised him – to go through, they but warned him the Greek authorities “might not be so understanding”. And despite Jimmy showing staff at Athens photos from his suitcase of him in his full stage costume of hat and wellies and also contacting the cruise organiser and British Embassy official, he still ended up spending the night sleeping on the airport floor! However, Mrs Cricket sent his passport details through the next morning and he finally got to go on the cruise. Jimmy Cricket is teaming up with several of the world-famous Osmonds for a special tour of the UK later this year. 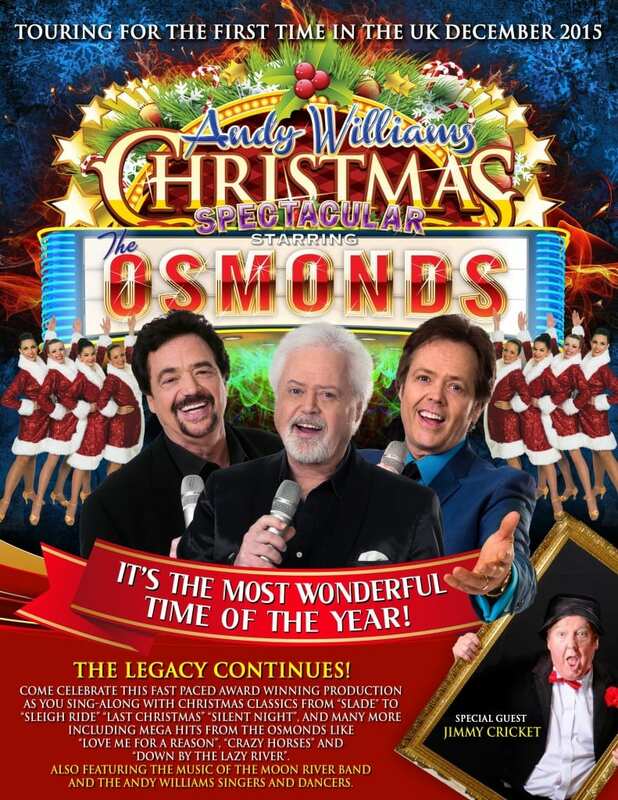 The well-known Northern Irishman comedian will be a special guest for the series of shows, called the Andy Williams Christmas Spectacular, throughout the month of December. The Osmonds are an American family music group with a long and varied history as star performers. They started their musical careers as children and achieved further success as teen-music idols, going on to produce a hit television show and also perform as solo and group artists. The Osmonds group first comprised brothers Alan, Wayne, Merril and Jay Osmond. They were later joined by younger siblings Donny – the most famous of all of them – and Jimmy. Their only sister Marie, who rarely sang with her brothers at that time, launched a successful solo career in 1973. Jimmy said: “The month of December has traditionally meant pantomime time and this tour will be quite a departure for me. “Nonetheless, it is an exciting prospect and I cannot wait to team up with the Osmonds, who have a global following and reputation. “Although I love the art form of pantomime and the attraction it holds for children and families, I have thought for some time that there should be an alternative offering out there over the Christmas period. Tickets for the tour will go on pre-sale from Wednesday morning (March 25), with tickets on general sale from Friday. 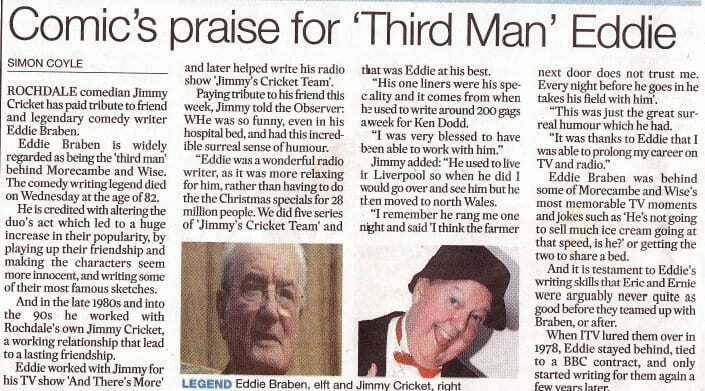 Jimmy Cricket was reminded of an old television colleague via this photograph posted on Facebook, the social media website. It was taken during filming for comedian Jimmy’s TV series called And There’s More that was broadcast on ITV during the mid-1980s. In the photo with the famous entertainer is William McLean Kerr, who was the designer of the title sequence for the first series. It was he who sent Jimmy this photo through Facebook. William stopped working in television not long after the picture was taken. He decided to go and paint for a living, and now has a studio in Troon, Scotland. William paints oil paintings, landscapes, seascapes, fine art prints and drawings.